I am trying to apply letter spacing to my layout and the generated PDF. Any idea how to achieve this? 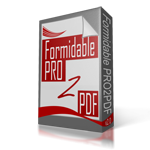 And I have noticed that this plug-in uses a 7 year old PDF API to generate the PDF. Is this still safe or are you planning on updating this in the future? “Letter Spacing” is not a functionality of PDF form fields, other than using the COMB field option, which may work for your needs.